New Year’s resolutions are often lofty and hard to follow through on, but there’s an easy resolution you can make to stay healthy: regular dental visits. Routine appointments with your dentist not only keep your smile looking and feeling great, but they can impact your overall health as well. 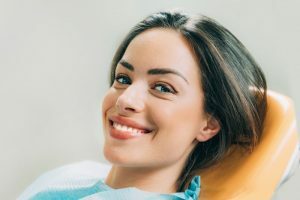 Keep reading to discover why routine visits to your dentist is an easy yet important resolution to make for 2019. Did you know that the health of your mouth can have an affect on the rest of your body? Specifically, dental issues like decay and gum disease can lead to increased risks of cardiovascular disease, diabetes, and stroke. Besides these physical issues that dental issues can cause, they can also lead to confidence and self-esteem issues. Studies have shown that those with good looking and feeling smiles are perceived as younger, healthier, more successful, and confident. It has also been proven that smiling more can extend your lifespan, which is another reason why having a healthy set of pearly whites is vital. You may have been told before that you should see your dentist twice a year, but why? These appointments are made up of 2 main parts: a checkup and a cleaning. During the checkup portion, your dentist will give your mouth, teeth, gums, jaw, head, and neck a careful examination. During this exam, your dentist will also check for oral cancer. This disease and other dental issues are often hard to detect on your own, which makes routine dental visits potentially life-saving. During these appointments, you’ll also receive a cleaning. This comprehensive cleaning is important for your teeth and gums because it removes tartar. When plaque isn’t cleaned away, it hardens into tartar. This can only be cleaned off by a professional and it is a leading cause of tooth decay and gum disease. Besides saving your health, seeing your dentist for checkups and cleanings can actually save you money. Preventive visits are typically 100% covered by insurance, so you won’t have to pay out-of-pocket. Additionally, these visits prevent and detect dental issues while they’re still small. Prolonging a checkup can lead to more extensive and expensive procedures in the future due to festering dental problems. Now that you know why routine dental appointments are important, are you ready to make a healthy resolution for 2019? Contact your dentist in Marysville to get started! At Darby Creek Dental, we have a team of 3 dentists who are dedicated to providing quality care. They each take pride in the long-lasting relationships they build with their patients to provide personalized care. For any questions, they can be reached through their website or by phone at (937) 644-8822.